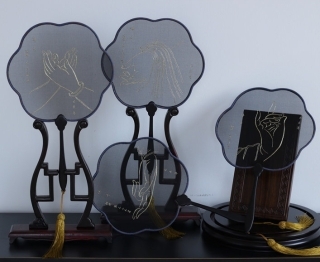 An online auction sale featuring 110 works of Chinese art will be held here from March 26 to April 16, most of which are representative of various craftsmanship dating from the Shang Dynasty (about 1,600 BC-1,046 BC) through the Qing Dynasty (1644-1911). ​Zambian artists are considering creating linkages with the Chinese theater houses to help advance and progress in film production in the southern African nation, a lobby body for artists said on Thursday. ​A photo exhibition displaying the beauty of China's Mount Huangshan, also known as Yellow Mountain, was held here Wednesday to woo Czech tourists. ​M WOODS, a contemporary art museum from Beijing, displays some significant Western and Chinese artworks at The Dubai Mall, in Dubai, the United Arab Emirates from March 12 to April 30 celebrating Dubai's art season and the spring/summer fashion season. ​Works of famous Chinese painters in different time periods are scheduled to be auctioned at Christie's and Sotheby's next week in New York city. ​A nationwide exhibition on Napoleon Bonaparte made its debut Tuesday in southwest China's Yunnan Province. 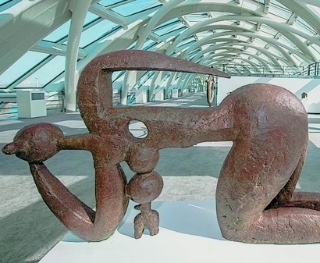 Han Meilin is now exhibiting 80 bronze and iron sculptures at Infinite Aesthetics, a one-man show at Beijing's Phoenix Center, through May 7. Le French May arts festival, an annual cultural event in Hong Kong, is expected to create a "cultural staycation" for Hong Kong audience this year, with over 120 art and cultural programs and activities, organizers announced Monday. With a love of embroidery and Dunhuang murals, Liu Yao, a young woman from Gansu, has found a way to combine her two passions.